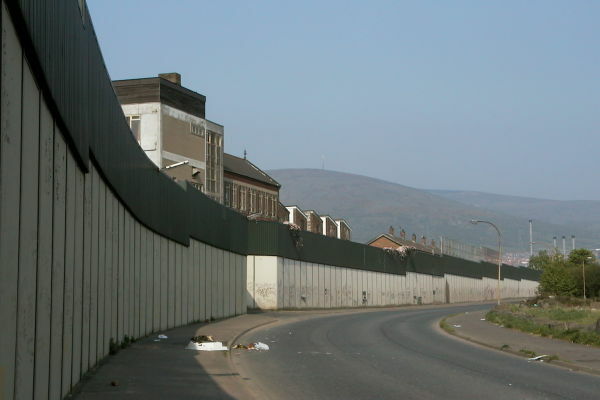 A view of one of the major sections of the 'peace line' that stretches between the Catholic and Protestant areas of west Belfast. The bottom section of the wall is made of concrete blocks that have been painted white. On top of this is metal sheeting painted green. In some places there is also a metal grill to try to prevent missiles from being thrown over the wall. The photograph was taken from the Protestant, Shankill Road, side of the wall.